If you own or are thinking about purchasing a life insurance policy or are listed as a beneficiary on someone else's policy, it's important for you to understand the applicable tax rules. There are several important tax considerations to keep in mind. Funds received from life insurance are not taxable when they are distributed to a beneficiary. 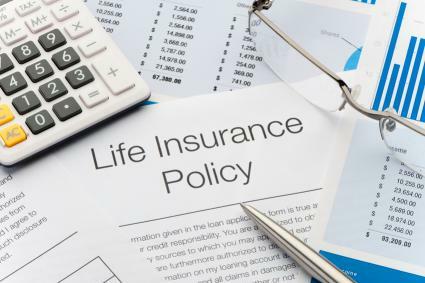 According to the Internal Revenue Service (IRS), when an individual receives "proceeds under a life insurance contract as a beneficiary due to the death of the insured person, the benefits are not includable in gross income and do not have to be reported." Is a 702 j a Good Option for Your Retirement Plan? If, however, life insurance proceeds become part of an estate, they will typically be subject to estate taxes, assuming the estate is large enough to be taxable. In 2016, the minimum threshold for estate taxes was $5.45 million, notes NerdWallet. An exception applies if proceeds are received by the policyholder's spouse or if the policy was transferred to an irrevocable trust at least three years prior to the death of the insured. Additional interest earned on life insurance proceeds, once they are distributed and deposited into your bank account, is taxable as ordinary income. This applies to all earnings generated except for capital gains, and should be reported when you file your individual return. In January, you should receive IRS Form 1099-INT that discloses any interest you earned throughout the year that is subject to federal taxation. If the interest is less than $10 it is not taxable, notes Topic 403. When you surrender your own life insurance policy for cash, any proceeds that exceed the cost of the policy are taxable, according to IRS Publication 525. The non-taxable and taxable figures can be found on Form 1099-R, which you should receive towards the end of January. This rule applies only to whole life policies since term life policies do not accumulate a cash value, notes Ameriprise. If you receive life insurance proceeds in installments, the amount of the principal is not taxable. However, interest accrued on the amount of the installment payments are assessed taxes at an ordinary income rate, according to Investopedia.com. The ordinary income tax rates for 2015 can be found in the IRS tax tables. Are Life Insurance Premiums Deductible? Premiums paid for life insurance generally aren't deductible on your tax return, according to IRS Publication 502. However, you may be able to deduct the cost of coverage for your employees and officers if you are a business owner. See IRS Publication 535 for additional guidance. For the insured, the cost of coverage for the first $50,000 of group-term life insurance is tax-exempt. However, premiums paid for any amount over $50,000 "must be included in income, using the IRS Premium Table, and are subject to social security and Medicare taxes," according to IRS regulations. So, if you carry a policy through your employer that is valued at $75,000, the cost of premiums for $25,000 worth of coverage is taxable income. To address any questions you may have about the taxation of life insurance proceeds, contact the IRS at 1-800-829-1040. You may also want to consider reaching out to a licensed tax accountant before purchasing a policy to discuss how life insurance could impact your estate and if additional tax planning is necessary.